Two options in one! 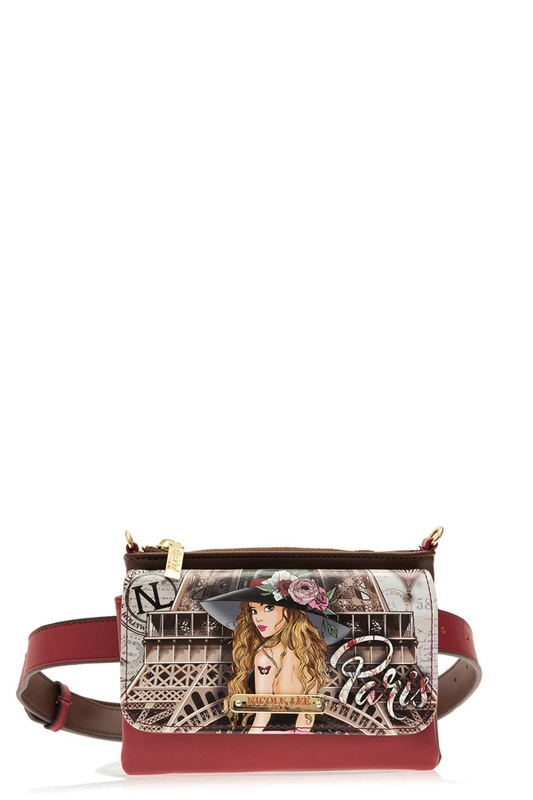 The Nicole Lee Presley Convertible Mini Fanny Pack It’s a must have. Exterior Features: Made of vegan leather. NL exclusive print at front. Flap top with snap closure compartment at front. Metal zipper closure with NL monogrammed zipper pull Structured silhouette. NL nameplate at front. This bag features a detachable shoulder strap and a detachable buckle belt that allows you to carry it as a fanny pack or as a crossbody. Interior Features: Zip wall pocket at back. NL nylon lining. Colors available are Angelina Follows Dream, House Party, Paola Is Tomboy, Yarissa, Vivian Dreams Party.